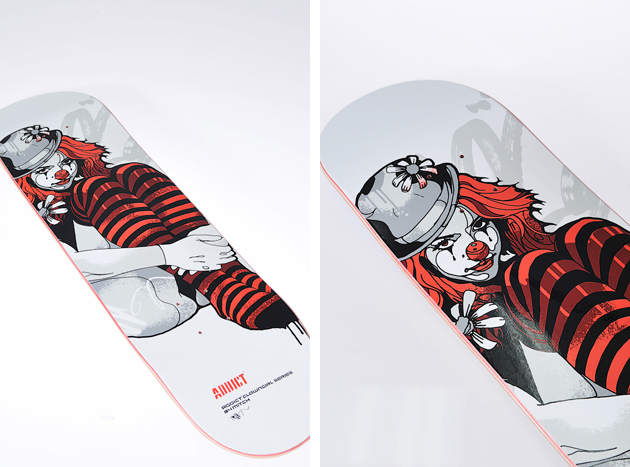 UK Brand Addict get together once again with graffiti artist Mitch for a series of skate decks featuring his iconic Clown Girl illustration. Mitch has bee a long time companion of Addict, working on a number of projects with the brand over the years, with his unique graphic style becoming somewhat of an Addict trademark. After a spell at Swifty’s Babylon studio alongside graf artist Mode 2 and Fred Deakin of Lemon Jelly fame, Mitch refined his skills producing artworks for various independent artists and labels as part of the UK music industry, eventually hooking up with Addict in 2004. 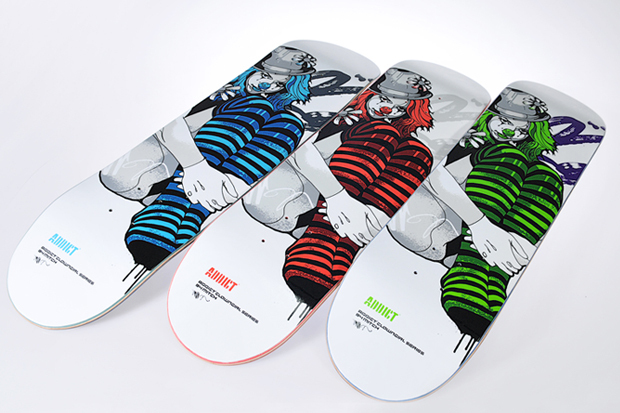 The Mitch ‘Clown Girl’ decks follow on from the previous Milo Minara set and are sure to be just as big a seller, featuring a simple, quirky illustration with splashes of colour. 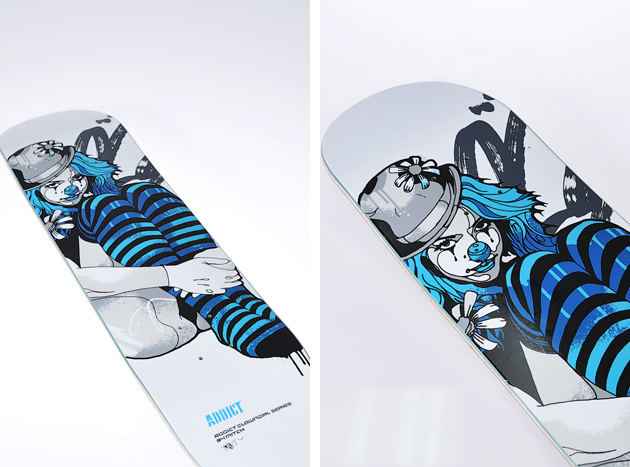 The decks will be available shortly, in blue, green and red, for a limited time only, online and in all Addict stores. Great post. I love it when I actually find something cool when stumbling.